When you’re looking for a hotel near Annapolis and The Chesapeake Bay area, we invite you to consider the spacious rooms and wealth of amenities available at the Comfort Inn Conference Center in Bowie. Our Bowie hotel caters to both business and leisure travelers with complimentary services, in-room amenities, and access to an on-site restaurant, exercise room and swimming pool. We are located a short drive from major attractions and sites in Annapolis and Chesapeake Bay, so you’re never too far from the fun and excitement of these popular Maryland destinations! The Comfort Inn Conference Center in Bowie is a short drive from Historic Annapolis, Maryland and the popular attractions such as Annapolis Harbor, the Annapolis Maritime Museum, the Chesapeake Children’s Museum, the U.S. Naval Academy Museum, and the Annapolis Summer Garden. Spend the afternoon exploring the cultural sights and attractions along the coast, then relax at the Colonial Players Theatre in Annapolis for some live entertainment. There’s always something to see and do in Annapolis and Chesapeake Bay, and you don’t have to travel very far to enjoy it all when you stay at the Comfort Inn Conference Center in Bowie. The Downtown Annapolis Waterfront is less than 15 miles from our hotel, and we are located within walking distance or a short drive from numerous attractions in Bowie. Our Bowie hotel offers a wealth of amenities and services to ensure your stay with us is as comfortable, and enjoyable, as possible. We offer spacious guest rooms equipped with a coffeemaker, microwaves, television with satellite channels, and ironing board for your convenience. All of our guests also enjoy complimentary high-speed wireless Internet access, and look forward to a complimentary hot breakfast buffet each morning. When you’re looking for a comfortable and affordable hotel backed by a 100% satisfaction guarantee, select the Comfort Inn Conference Center in Bowie! All reservations made through this website are guaranteed the lowest available rates; plus, your reservation will be eligible to receive points for the Choice Privileges® guest rewards program. The Comfort Inn Conference Center Bowie offers the perfect location to explore Maryland and Washington DC. The hotel is easily accessible from the Baltimore Washington International Thurgood Marshall Airport (BWI) at the intersection of Route 50 and MD3/301. So whether you are flying in or driving, let us be your hotel headquarters while you visit all of the sights and attractions of Annapolis, Washington DC and Baltimore! Annapolis is known as America’s Sailing Capital with the Chesapeake Bay, the U.S. Naval Academy, tasty steamed crabs and crab cakes highlighting all visitors’ tours. Washington, DC is filled with historic attractions as well as a vibrant government in action, exciting festivals and nightlife, sporting events and terrific shopping. Our nation’s capitol is a treasure to behold! Baltimore is Maryland’s largest city and is nicknamed “Charm City”. The city thrives around a port and inner harbor where visitors find relics of Baltimore’s fascinating maritime history mingled with contemporary attractions. Comfort Inn Conference Center Bowie – Visit our Map & Directions page for driving directions to these area attractions from the hotel. After busy days exploring the beauty and excitement of the surrounding areas, you will be welcomed back to relax in our spacious guest rooms, lounge by our outdoor swimming pool, or enjoy a workout in our onsite fitness center. We also feature a spacious lounge and lobby area for meeting friends and colleagues after a busy day. Make your reservations at the Comfort Inn Conference Center Bowie through this website to receive the lowest published rates, guaranteed. We bring you the best prices and room options for your stay in Bowie, Maryland. Plus, all reservations made through this website are eligible for points with the Choice Privileges® Rewards Program. Located a short drive from Washington, DC, NASA’s Goddard Space Flight Center is one of the most popular attractions in Maryland, and is a great place to learn about the latest space technologies, shuttle launches and our planet Earth. The Comfort Inn Conference Center in Bowie, Maryland is less than a 20-minute drive from NASA’s Goddard Space Flight Center, and easily accessible by US-50 and I-95. The Goddard Space Center hosts a variety of space flight events throughout the year, and is responsible for managing many of the space agency’s Earth observation, space physics, and astronomy and physics missions. The Center was established in 1959 by physicist Dr. Robert Hutchings Goddard; he is considered to be the father of modern rocket propulsion, and earned a gold medal by the 86th Congress in 1959 for his lifetime of contribution. Today, visitors take part in several educational programs and see ongoing exhibits at Goddard Space Flight Center. Popular exhibits include ‘Science on a Sphere’; ‘Footprints’; ‘Beyond Hubble’; and ‘Bringing the Universe Down to Earth’. The center is also home to the Goddard Rock Garden, the Aura Ozone-Monitoring Garden, and the famous Goddard Moon Tree. Visit NASA’s Goddard Space Flight Center website for more details. Visit our Map & Directions page for driving directions to Goddard Space Flight Center from the hotel. If you’re interested in exploring the amazing sights and feats of accomplishment at the Goddard Space Flight Center, enjoy a comfortable overnight stay at the Comfort Inn Conference Center in Bowie. We cater to both business and leisure travelers, and offer a variety of amenities and services to ensure your stay with us is as comfortable and enjoyable as possible. All of our guests enjoy complimentary high-speed wireless Internet access, a hot breakfast buffet each morning, and access to an on-site exercise facility and outdoor swimming pool. We are conveniently located near major attractions in Baltimore, Chesapeake Bay and Washington, DC, and your satisfaction is 100% guaranteed. Book your stay through this website to secure the lowest available rates, guaranteed! All reservations made through this site are also eligible to receive points towards the Choice Privlieges® rewards program. As the nation’s capital, Washington, DC boasts hundreds of historical sites and attractions that speak to the nation’s history. This is the city to explore the International Spy Museum, see the White House, take a Tourmobile sightseeing tour, and walk through the Newseum. You’ll need more than a day to take it all in, and the Comfort Inn Hotel and Conference Center in Bowie is in an idyllic location for both business and leisure travelers who want to visit Washington, DC. Spending the day exploring the city with a sightseeing tour is a great way to take in several city sights in one day, but you can also take a guided walking tour of the historic districts throughout the city to see some breathtaking architectural sites and old parks. Visit the Map & Directions page for driving directions to Washington, DC from the hotel. After a busy day of sightseeing and exploring, relax with all the comforts of home at the Comfort Inn Hotel and Conference Center in Bowie, just a short 30-minute drive from downtown Washington, DC. We offer guests a wealth of amenities and complimentary services to ensure an exceptionally comfortable stay. All of our guests enjoy complimentary high-speed wireless Internet access, an on-site outdoor pool and exercise facility, and a delicious hot breakfast buffet each morning. Our on-site, full service restaurant is a great place to relax and enjoy some classic American cuisine day or night, and we are within walking distance or a short drive from popular local restaurants. Whether you’re heading to Washington, DC for a business conference or a leisurely visit, you’ll find that the Comfort Inn Conference Center provides you with everything you need to ensure a comfortable overnight stay. Make reservations through this website to secure the lowest available rates, guaranteed! All reservations made through this site are also eligible for points with the Choice Priviliges® guest rewards program. When you’re looking for a hotel near the fun and action at Prince George’s Stadium, turn to the Comfort Inn Hotel and Conference Center in Bowie, MD for easy access to sporting events, and a wealth of amenities to enjoy during your stay. The Comfort Inn Hotel Bowie is located less than a mile from Prince George’s Stadium, so you’ll never be too far from the latest events. Prince George’s Stadium is the home of the famous Bowie Baysox, an affiliate of the Baltimore Orioles. The Baysox play here every year, and the family-friendly environment caters to all types of travelers. You can always count on live entertainment, fireworks, great food and giveaways at the Baysox events! Prince George’s Stadium is located in Green Branch Community Park, and features public rentals for baseball games, a ham radio show, car shows, special events at the Diamond View Restaurant, and even hosts concerts throughout the year. The stadium also boasts club seats and nine deluxe skyboxes for baseball enthusiasts looking for the VIP experience. In total, you’ll find 8,000 box and general admission seats and a designated play area for young children. Visit the Prince George’s Stadium website for more information. Visit the Map & Directions page for driving directions to Prince George’s Stadium from the hotel. The Comfort Inn Hotel and Conference Center is the premier Bowie hotel for any baseball and sports enthusiasts attending events at Prince George’s Stadium. We cater to sports fans and visitors by providing comfortable amenities and several complimentary services including a full buffet breakfast each morning, high speed wireless Internet access, in-room coffee makers and microwaves, and a beautiful pool for a relaxing swim. After a busy day of games and entertainment, there’s nothing better than returning to a comfortable, inviting hotel like the Comfort Inn Conference Center; an ideal place to relax after a day at Prince George’s Stadium and other area attractions. Our on-site restaurant serves up hearty portions of all your favorite menu items, and we offer room service for your convenience. Make reservations at the Comfort Inn Conference Center in Bowie through this website to get the lowest GUARANTEED rates! All reservations made through this site are also eligible for the Choice Privileges® hotel rewards program. Equestrians of all ages will enjoy easy access to the famous Show Place Arena and Prince George’s Equestrian Center when staying at the Comfort Inn Hotel and Conference Center in Bowie. Our Bowie MD Hotel is located a short drive from this breathtaking complex that hosts a number of championships and special events throughout the year. The Show Place Arena is located in Upper Marlboro, and is the place for local and national concerts, kids’ entertainment and performances, sports games, and comedy acts. The Show Place Arena has hosted concerts by Kenny Rogers, Mary Ann Redman, The Temptations, and Frankie Valli amongst others, and is also the place for sports events including the Bill Pickett International Rodeo, Harlem Globetrotters games, and World Championship Wrestling matches. Prince George’s Equestrian Center is a beautiful complex designed specifically for horse shows, equestrian championships and banquets. The center has hosted events such as the Maryland National Horse Show, the Show Place Spring Festivals Horse Show, the Capital Challenge Horse Show and Congressional Cup Grand Prix, and the Eastern Arabian Amateur Horse Show. Visit the Show Place Arena and Prince George’s Equestrian Center website for more information. Visit our Map & Directions page for driving directions to Show Place Arena from the hotel. All guests staying at the Comfort Inn Conference Center enjoy easy access to both the arena and the equestrian center, and we offer a number of amenities and services to ensure a comfortable and enjoyable stay. The Comfort Inn Conference Center features complimentary services including high-speed wireless Internet access in every guest room; in-room coffee makers and microwaves; on-site exercise room and outdoor pool; and a complimentary hot breakfast buffet each morning. Our full-service restaurant on-site also offers a complete lunch and dinner menu, and lunch buffet option for your convenience. When you’re staying in Bowie or Upper Marlboro for a business or leisure trip, choose the Comfort Inn Conference Center, your premier Bowie hotel. Make reservations through this website to secure the lowest available rates on your rooms, guaranteed! All reservations made through this site also qualify for points towards the Choice Privileges® rewards program. When you’re looking for some fun recreational activities to enjoy during your stay in Bowie, head to Allen Pond Park, one of the area’s most beautiful natural settings. Allen Pond Park is home to an ice arena, ball fields, nature trails, and a large amphitheater that hosts concerts and events throughout the year. The Comfort Inn Conference Center in Bowie is less than a five minute drive from this beautiful setting; visit our Map & Directions page for driving directions to Allen Pond Park from the Comfort Inn Conference Center. Allen Pond Park covers over 85 acres, and has been designated a multi-use park by the City of Bowie in Maryland. You’ll find several large picnic areas and pavilions, wide walking trails and a basketball court on site. The park also features several playground areas that are perfect for young children. Head to the boathouse and fishing pier if you want to explore the pond and see the landscape from a fresh perspective! Visit official website linked below to learn more about Allen Pond Park and available recreational facilities. After a day of hiking the nature trails, playing a few games of basketball, or exploring the waters around Allen Pond Park, look forward to a relaxing stay at the Comfort Inn Conference Center. Our Bowie hotel caters to both business and leisure travelers looking for the comforts of home while traveling and we offer several complimentary amenities and services so that your stay is as enjoyable as possible. All of our guests enjoy complimentary high-speed wireless Internet access, access to an on-site exercise room and pool, and a delicious hot breakfast buffet each morning. Our full-service restaurant on site also serves a varied lunch and dinner menu, with the option of a lunch buffet. Whether you’re heading to Bowie for business or leisure, you can look forward to easy access to area attractions and sites with your stay at the Comfort Inn Conference Center. Make reservations through this website to secure the lowest available rates, guaranteed! All reservations made through this site are also eligible for Choice Privileges® rewards points. The United States Naval Academy has served as the undergraduate college for all Navy trainees since 1845. Visitors enter at the Armel-Leftwich Visitor Center that houses the gift shop, exhibits and is where guided tours begin! The United States Naval Academy is located just a 15-minute drive from the Comfort Inn Hotel Bowie, and is easily accessible from US-50. Graduates in Space – features the Freedom 7 space capsule flown into space in 1961 by Naval Academy graduate Alan B. Shepard, Jr. (Class of 1945). Historical Tour – Highlights life at the U.S. Naval Academy past and present. Tour includes Lejeune Hall, Bancroft Hall, Tecumseh Court, Herndon Monument, Chapel (when open), and crypt of John Paul Jones. One hour and 15 minutes. Tour & Tea – Special tour of the Academy and Museum with tea at the Officers’ and Faculty Club. Minimum of 16 guests. Tour begins at 1:30 pm. ; tea served at 3:00 pm. Only available Monday through Wednesday. Military Reunion Tour – Designed for those who participated in the U.S. military operations. Features include chapel (when open) and crypt of John Paul Jones. Tour includes audio-visual presentation and walking tour. Two hours 30 minutes. Jewish Chapel & Levy Center Tour – Center named for Jewish naval officer, Commodore Uriah P. Levy, who held command positions for Presidents Monroe, Jackson, Tyler and Lincoln. Levy restored Thomas Jefferson’s Monticello. For tour hours and more information, click here to visit the USNA Guide Service website. As fall approaches, football is in the air! Don’t miss a home game in Annapolis – stay at the Comfort Inn Conference Center Bowie for comfortable and convenient hotel accommodations and excellent service when in town for a Navy football game. Click here for the latest Navy football schedule and news! The Comfort Inn Conference Center Bowie is a short drive via US Route 50 from the Navy’s famous campus, making it the ideal choice of hotels when visiting students at the Academy or touring the campus. All guests at our Bowie hotel enjoy an extensive complimentary “Your Morning Breakfast” hot breakfast buffet prepared in our restaurant kitchen each morning, complimentary high-speed wireless Internet access, our on-site outdoor pool, exercise room. Our in-hotel restaurant, Chessie’s Chesapeake Grille and Bar, serves delicious American cuisine and cocktails every day. Visit our Map & Directions page for driving directions from the hotel. Whether you’re visiting the United States Naval Academy on business, visiting a student, or exploring this historic campus, we invite you to book your stay with us at the Comfort Inn Conference Center Bowie. Make reservations through this website to secure the lowest available rates, guaranteed! All reservations made through this website are also eligible to receive points towards the Choice Privileges® guest rewards program. Since 1970 the United States Yacht Shows have been wowing crowds with in-water boat shows. These nautical events now attract close to 150,000 attendees from around the world to the Chesapeake Bay in October. The Comfort Inn Conference Center Bowie offers ideal hotel accommodations and location to visitors enjoying these spectacular boat shows. We are situated just 15 minutes from Annapolis and the beautiful Chesapeake Bay. For driving directions to Annapolis from the hotel visit our Map & Directions page. 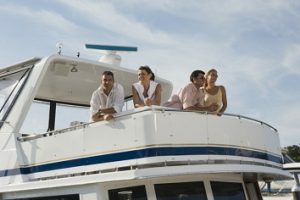 All of these in-water boat shows give visitors the unique opportunity to board and inspect virtually every new model on the market and talk to industry representatives about all aspects of buying and owning a boat. 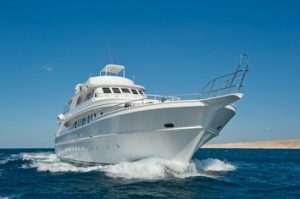 And you can shop from a wide array of boating products and services – everything from financing and insurance to electronics and foul weather gear. For more information on these shows, click here to visit the United States Yacht Shows website. When you return to land after exploring the boats, you will be welcomed home to relax in our spacious guest rooms, lounge by our outdoor swimming pool, or enjoy a workout in our onsite fitness center. Join us for dinner or a cocktail in Chessie’s Chesapeake Grille and Bar or meet friends and colleagues in our spacious lounge and lobby area. Start your next day of adventure with our extensive complimentary “Your Morning Breakfast” prepared in our hotel restaurant kitchen each morning.